Matt Bullock is one of Australia’s most successful serial entrepreneurs. Matt Bullock founded eWAY (payments made easy) in 1998 and formally launched the company in 2000. Matt calls Canberra home even though he has had offices across the globe. Bullock graduated from the University of Wollongong with a Bachelor of Computer Science. He briefly worked for the Australian Public Service in Canberra and like many entrepreneurs used his spare time to set up eWAY. Matt showed his prescient side by recognising the potential of the internet for e-commerce. He started out with servers in his home and a single bank… and few staff. Matt moved from his garage into offices in Phillip and started the process of developing business relationships with the big four banks, building interfaces to hundreds of shopping carts (including the large global carts such as Shopify, Magenta and Big Commerce) and cultivating the developer community who would be key in recommending a payment gateway to the growing list of online retailers. With the links to Australian banks completed in 2004, Bullock set his sights on New Zealand and by 2009 had partnered with all the major New Zealand banks, expanding payment services in the region. This was followed in 2011, by eWAY’s expansion into the United Kingdom and the establishment of regional branches in Edinburgh and Auckland. In 2014, eWAY expanded into Singapore, Hong Kong and Malaysia. Along with its regional expansions, eWAY partnered with major SaaS companies to provide integrated payment services. In 2013 eWAY partnered with Xero to produce the 'Pay Now' add-on for Xero online invoices. eWAY was awarded Xero Add-on Partner of the Year for 2013 for this functionality and the access it provided online small businesses. In 2014, eWAY built the Xero PayThis feature, allowing Xero users to pass on credit cards surcharges, and offer multiple options in a single invoice. PayThis used eWAY's Responsive Shared Page, simplifying the payment process for Xero users. Similar ventures followed with the eWAY’s integration with NetSuite. The integration allows NetSuite users to facilitate credit card payments online, by phone, fax or mail utilising NetSuite’s omnichannel approach. eWAY expanded its partnership with Magento by creating a new payment extension to improve integration and security features. eWAY's Shopify integration allows merchants to access high level fraud protection, token payments to allow repeat purchasing and eWAY's PreAuth feature to reserve funds on a customer's credit card without charging it. In December 2013 eWAY partnered with the National Australia Bank to launch eWAY Merchant Services in Australia. eWAY’s Online Merchant Services allow businesses to set up a payment gateway as well as an internet merchant account within the one eWAY account, reducing the time and fees it takes for businesses to set up online payments. In July 2015, eWAY expanded into physical payments with the launch of SmartPOS. The mobile card reader integrates with Xero, Salesforce, and Shopify, and is compatible with Tap and Go and EFTPOS payments. Proof of purchase is sent either by email or SMS.The SmartPOS device links to iOS, Android and Apple Watch apps. In September 2015, eWAY launched an app that lets Apple Watch users accept payments through their smartwatch. In October 2015, eWAY partnered with Kikka Capital, a Perth-based small business lender, which meant active eWAY merchants could apply for up to $100,000 line of credit in seven minutes based on real-time business performance information. In November 2015, eWAY became the first Australian payment gateway to offer a mobile integration with Apple Pay. eWAY merchants could accept Apple Pay transactions in their apps or in person with the eWAY SmartPOS device. Prior to its sale in April 2016 eWAY had over 25,000 customers. In 2015, eWAY processed 5.8 billion online purchases, about a quarter of all internet transactions in Australia. eWAY had offices in North America, Asia, the United Kingdom, Australia and New Zealand. Bullock won numerous awards for eWAY and personally for his innovation including the ACT Pearcey Entrepreneur Award 2011 and the ORIA Industry Recognition Award 2010. In April 2016, eWay was purchased by Global Payments for over $US50m. 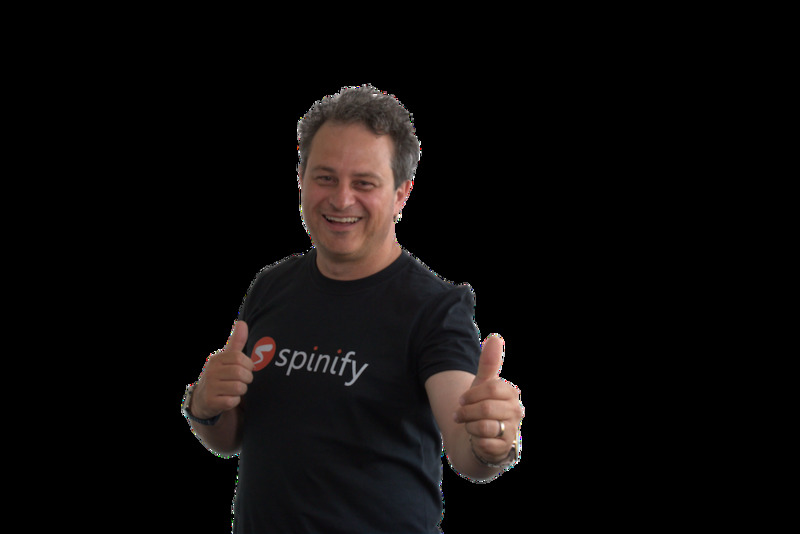 Founder Matt Bullock instantly established Spinify, a new venture focused on workplace engagement and staff motivation. Bullock was awarded the 2016 Exit of the Year award by Australian Growth Company Awards. Spinify Leaderboards reflect Bullock’s learnings and experience in running global Sales and Service teams and the continuous requirement to engage and motivate them to do more of the metrics that matter and that drive business outcomes. Bullock managed and motivated his staff with leaderboards displayed on 70 TV’s across the offices. Everyone was engaged in the performance and progress of staff and the visibility of these things reinforced the high performance culture that Bullock cultivated with staff at eWAY. In the early days of Spinify Matt sought out fellow CEO’s to discuss the prospect of re-inventing leaderboards by applying gamification principles and motivational psychology frameworks. The aim was to enhance the staff experience and lead them to work harder to achieve the business results and their individual KPI’s. The feedback from fellow “C” Suite executives confirmed the pain points associated with maintaining high levels of engagement and motivation. Bullock used this feedback to innovate the existing leaderboard business model. After 6 months of intensive development, Spinify was launched at Dreamforce in October 2016 as the product synced with Salesforce data. Bullock had a hugely successful relationship with Salesforce while at eWAY and spoke at a number of the Dreamforce and Salesforce World Tours. Based on feedback from early users Bullock pivoted the company and is now reaping the rewards from new customers. Spinify developed integrations with a number of popular data apps to complement its Salesforce offering. These include a simple offering for users of Google Sheets and Slack as well as full leaderboard offerings for Customer Service Desk apps such as Zendesk and Freshdesk and for the coding community through Jira (an Atlassian product). Spinify also established an industry offering through the real estate product MyDesktop. Spinify is growing daily and a return exhibit at Dreamforce 2017 is in the planning. Bullock took the Pledge1% alongside Scott Farquar from Atlassian, in 2015. Pledge 1% is a community of organizations who want to change the world through inspiring early–stage corporate philanthropy. Pledge 1% is an easy way to leverage a portion of a company’s future success to support charities and nonprofits in any community. It’s a small commitment today that can make a huge impact tomorrow. Bullock established his Foundation following taking this pledge. In April, 2016, Matt Bullock sold eWAY and transferred the Foundation to Spinify. The Spinify Foundation is a registered Charity in Australia and support such nonprofit organizations as OzHarvest (the first perishable food rescue organisation in Australia), Ronald McDonald House (who keep families close to seriously ill children) and the Kiln Incubator in Canberra (which assists entrepreneurs and start-up companies in Canberra). Bullock believes in giving back to the start up community. Matt is a keynote speaker at The Sunrise Conference. He will be speaking about the journey through eWAY and on to Spinify. Get ready for some serious real talk.